Rafters come to the San Rafael River for a chance to experience some of the most scenic flat water paddling, and exciting white water rafting, in all of Utah. The San Rafael River has opportunities for whitewater and flat water paddling. The River is located approximately four hours away from Moab. The Upper San Rafael is ideal for calmer water, while the lower section of the river offers challenging white water. 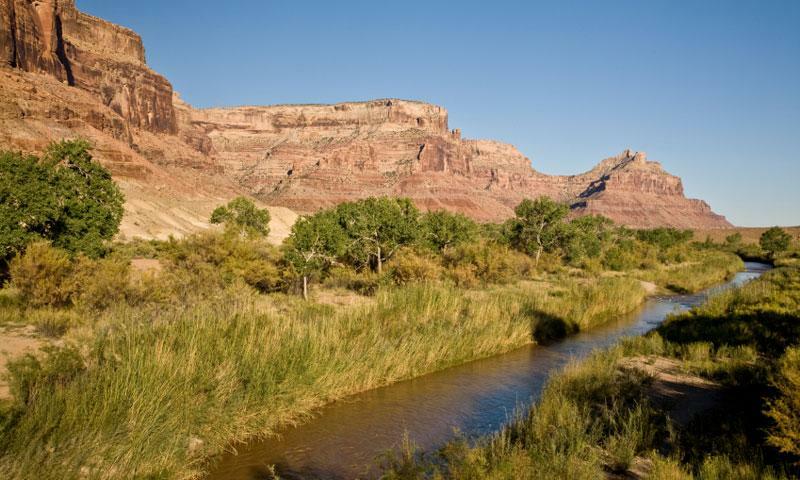 Located in central Utah approximately four hours away from Moab, the San Rafael River provides opportunities for both calm water paddling and intense white water rafting. Because the river is fed by snow melt, the water levels vary widely. May through early June is the best time to visit. Characterized by small rapids and calmer waters, The Upper San Rafael’s 20 mile stretch of class I and II water is an ideal place for those looking for a more relaxing float. It’s also perfect for families and those looking to prepare for more difficult trips. Put in is at Fuller Bottom, take out is at San Rafael Campground. Access Fuller Bottom off State Highway 29. If you’re looking for boiling white water and challenging obstacles, the Lower San Rafael is for you. Known for its class III – V water, the lower San Rafael’s Black Box Canyon 1 and Black Box Canyon 2 challenge the skills of all but the most seasoned boaters. Due to the challenging terrain and need for portaging, plan on two days for this trip. 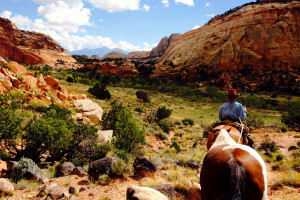 Many campsites are available on a flat area between the two canyons. This trip is generally accessed by floating the Upper San Rafael and taking out below lower black box canyon.